NGO Ecological Awareness and Waste Management (EAWM) continues the awareness raising meetings. 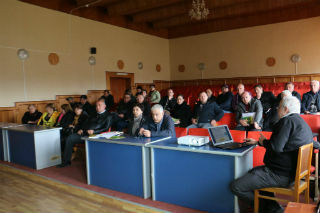 On March 28, 2017 EAWM held a meeting in Senaki Municipality, in Samegrelo region, in the framework of the ‘Clean Up Georgia – Phase III” Project aiming at informing the Municipality on the hazardous waste, in particular, chlorine/chemicals, on the territory of Georgia and its negative impact on human health and the environment. On March 28, 2017 NGO Ecological Awareness and Waste Management (EAWM) held a meeting in Khobi Municipality, in Samegrelo region, in the framework of the ‘Clean Up Georgia – Phase III” Project. The meeting aimed at informing the Municipality on the hazardous waste, in particular, chlorine/chemicals, on the territory of Georgia and its negative impact on human health and the environment. In the framework of the Project “Cleanup Georgia” (Phase III) Georgian Society of Nature Explorers Orchis purchased from “Georgian Saplings” Ltd., young plants of yew tree, lime-tree, pomegranate and walnut, and on March 30 a landscaping action was carried out in Gori Municipality. The saplings were planted in the adjacent to the occupied territory village Mereti where “Megobrobis Bagi” (Garden of Friendship) was laid out. Municipality Governor and other employees of the Administration (Gamgeoba), Mereti school head-master, teachers and students, as well as the representatives of mass media participated in the action. On March 17, 2017, EAWM conducted a training of chemistry laboratory staff entitled “Registration, Safe Handling, Warehousing, Laboratory Usage, Utilization and Transportation of Chemical Substances and Waste in Educational Establishments" in Georgian Technical University (GTU). 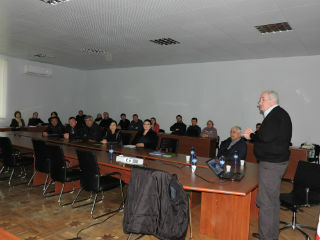 The training was held the framework of the “Clean Up Georgia – Phase III” Project. 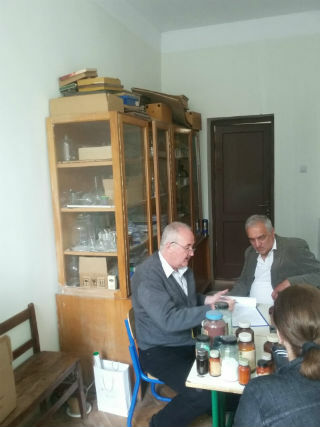 Since May 2016, NGO “Ecological Awareness and Waste Management”, in the framework of the “Clean Up Georgia – Phase III” Project, undertakes the inventory of accumulated overdue, expired and obsolent chemical substances and waste in chemical laboratories of Georgian public schools and educational institutions. Inventory has already been completed in Tbilisi and three regions (Kvemo Kartli, Shida Kartli and ImereTi), which revealed low, medium and high risk sites. On March 25, World Water Day in town Poti was marked by carrying out of clean-up activities conducted within the framework of the campaigns "Clean up Georgia" and "Blue Stream". The event was organized by the local coordinator of the Greens Movement of Georgia / Friends of the Earth Georgia with support of local government. In the action together with the organizers actively participated local government and public representatives. During the action have been cleaned up Poti entrance area and neighborhoods of Nabada church. Nearly 50 people took part in this event, approximately ,2 m3 of wastes were collected and around 4 ha area have been cleaned up. 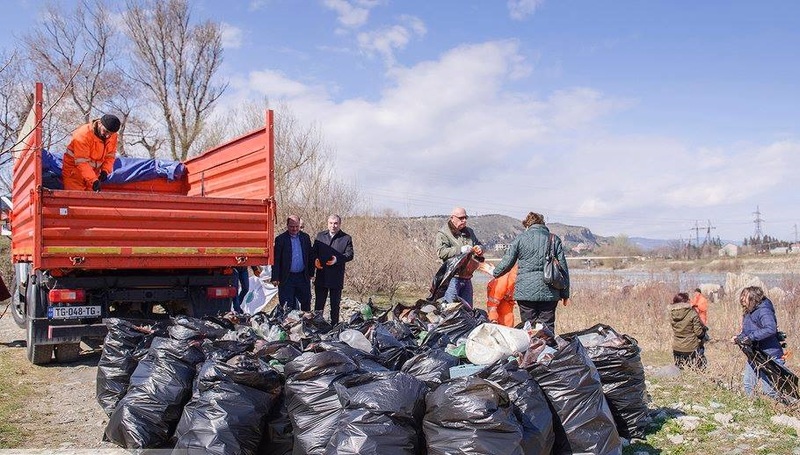 On March 22, on the occasion of World Water Day in Tetritskaro municipality was marked with clean up actions within the framework of the campaigns “Clean up Georgia” and “Blue Stream. 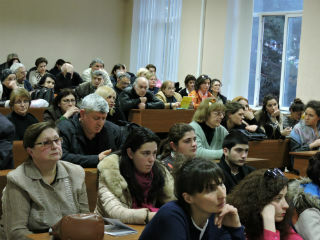 The event has been organized by the local coordinator of the Greens Movement of Georgia in cooperation with local authorities. During the action has been cleaned up Tbisi reservoir shoreline area and the vicinity of the spring site near the village Tbisi. On March 22, on the occasion of World Water Day in Zugdidi municipality was marked with clean up actions within the framework of the campaigns “Clean up Georgia” and “Blue Stream. ” During the action the shorelines of Inguri and Jumi rivers were cleaned up , as well as the coastline in Anaklia and Ganmukhuri region. In 48 villages of the municipality, the drainage canals were cleaned up by the population. 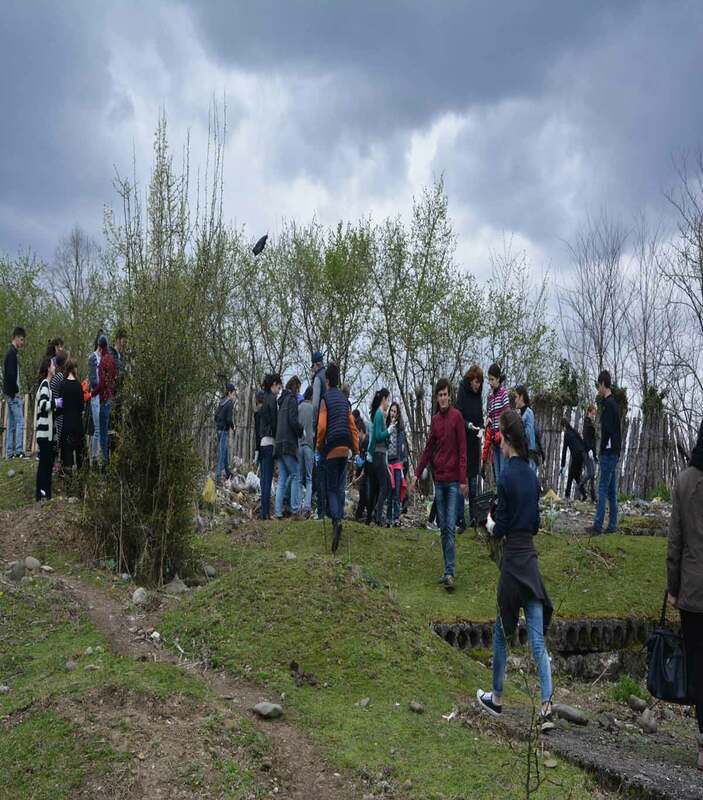 In the framework of the campaigns “Clean up Georgia” and “Blue Stream ” large-scale clean up actions were conducted in town Zugdidi municipality organized by the local coordinator of the Greens Movement of Georgia ; Friends of the Earth Georgia, with support of local authorities. During the action the shorelines of Sintsi, Chkhoush and Kuchkhobon rivers were cleaned up and drainage canals were cleaned up by the population. 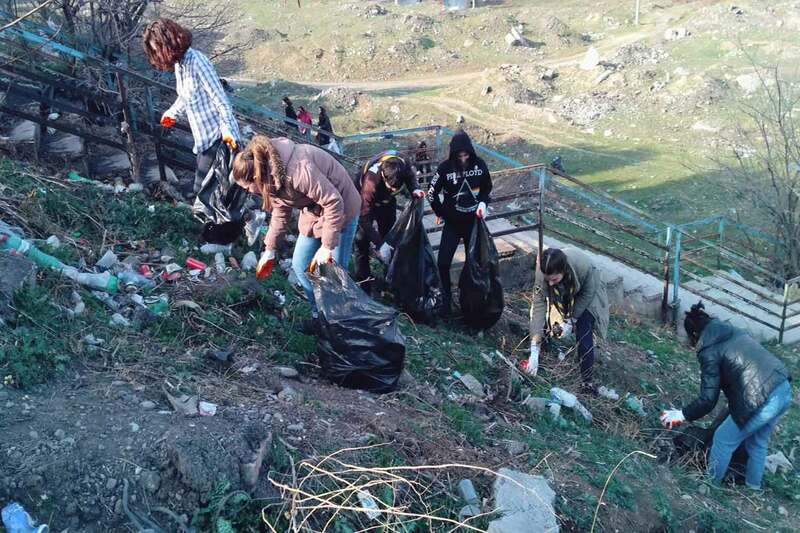 On March 22, on the occasion of On World Water Day in Bolnisi municipality was marked with clean up actions within the framework of the campaigns “Clean up Georgia” and “Blue Stream. ” The event has been organized by the local coordinator of the Greens Movement of Georgia?Friends of the Earth Georgia with support of local authorities. On March 22, on the occasion of The World Water Day in town Rustavi was marked by carrying out of clean-up activities conducted within the framework of the campaigns "Clean up Georgia" and "Blue Stream". The event was organized by the local coordinator of the Greens Movement of Georgia / Friends of the Earth Georgia with participation of representatives of the local population. On March 22, World Water Day in Chkhorotsku municipality was marked with a large-scale clean up action within the framework of the campaigns “Clean up Georgia” and “Blue Stream”. During the action the shorelines of Ochkhomuri and Khobistskali rivers were cleaned up, as well as the cave Shurubumu surrounding area. 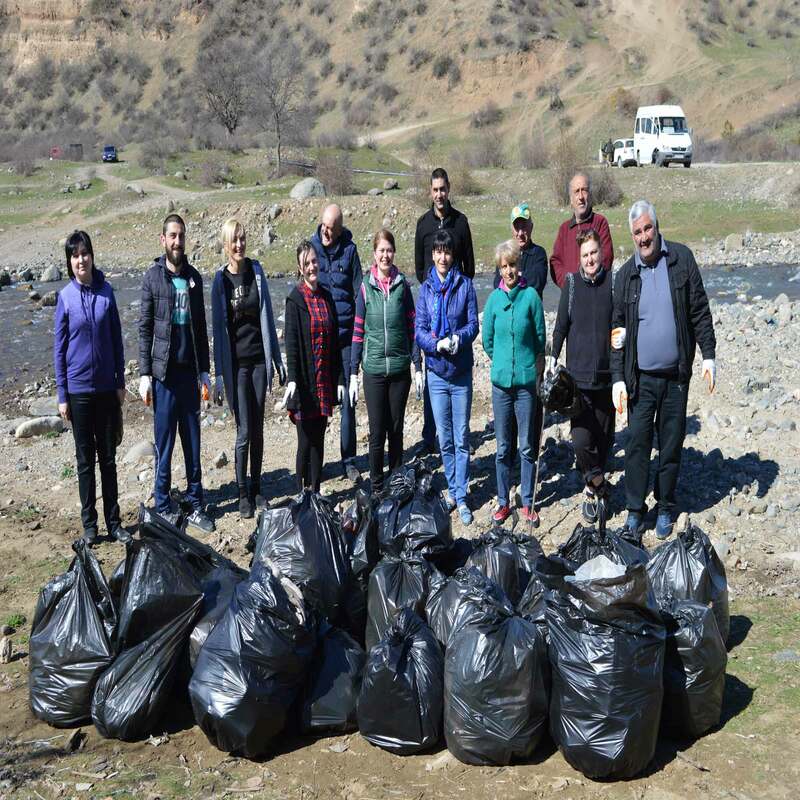 On March 22, World Water Day in Tsalenjikha municipality was marked with a large-scale clean up action within the framework of the campaigns “Clean up Georgia” and “Blue Stream” The event has been organized by the local coordinator of the Greens Movement of Georgia Friends of the Earth Georgia . During the action the shorelines of Chanistskali, Skuri, Tsiskvilara and Leponjara rivers were cleaned up. Around 808 volunteers participated in this event, approximately 6,7 m3 of wastes were collected and around 6.5 ha area have been cleaned up. 2017-03-22 March 22 is World Water Day! On March 22, on the occasion of World Water Day the Greens Movement of Georgia with support of the Ministry of Environment and Natural Resources Protection of Georgia organized a clean up action within the framework of the campaigns “Clean up Georgia” and “Blue Stream”, during which the right embankment of Mtkvari river has been cleaned up. Representatives of different non-governmental organizations, the Ministry of Environment and Natural Resources Protection, students, volunteers participated in joint event together with the organizers.